Although the plot is situated during a terrifying time in her life, full of the most brutal and damaging moments, the narrative, by contrast, is soft and delicately written. Rather than emphasise the tragic, Stephan Collishaw focuses on the melancholic. It feels like a story that should be whispered, or murmured. Similarly, the pace seems lethargic, but has an underlying and very much unassuming suspense – enough so to be read in just a couple of sittings. The characters are not colourful or heavily detailed, and they certainly don’t burst out of the pages, but they do feel unquestionably real. What Collishaw omits in detail, he compensates with authenticity. Through the third person narrative, we are offered Yael’s perspective, but we do not know much about her past, except for a few anecdotal memories, often triggered by sensory prompts. As a young girl growing up in such bleak conditions, it is not surprising that Yael struggles to form an identity; numbness is one way to protect your mental wellbeing when you’re not being treated as a human being. This lack of overt characteristics can also act as the reader’s way into the narrative, projecting their own traits onto the young girl and forming a strong empathetic bond. With the delicate style and prominent stork metaphor, the story does seem somewhat like a fairy tale or fable, with the moral of accepting those who are different to you echoed both through the horrific discrimination against the Jewish community, and through Yael’s acceptance of Aleksei’s disability. 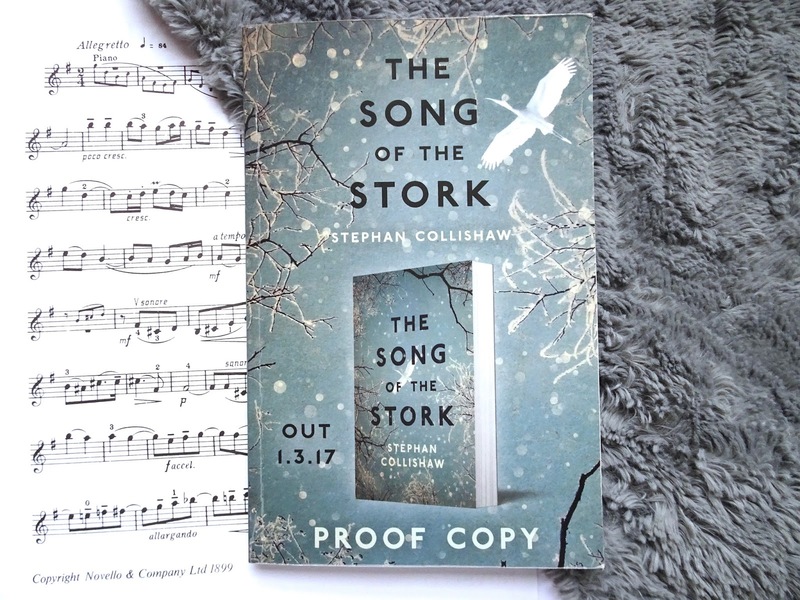 In this sense, The Song of the Stork is a beautifully written and moving read about an awful period in history, which is in fact troublingly relevant in the current political climate. *I was sent this book in exchange for a review, but all words and opinions are my own.